Here at Oakville Dental Care, we use a fancy device for your comfort and for superior dental restorations called ISODRY, which assists us during your visits. Essentially, it works by isolating the areas of the mouth that require work, resting your teeth on a comfortable cushion, and protecting your tongue from our dental instruments.. Additionally, two vacuum channels run the entire length of the mouthpiece, evacuating fluids and moisture continuously, so you won’t have to expel saliva using the suction. This device is most important during removal of toxins and vapors, such as decay and silver Amalgam fillings, so you do not swallow or inhale any of these particles. 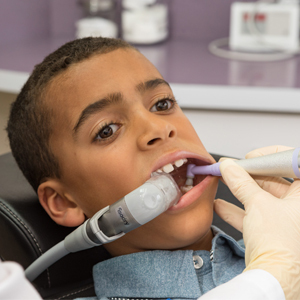 Tooth colored fillings, bondings, and porcelain crowns require a moisture free environment for best results, and this mouthpiece helps accomplish just that. ISODRY is a hypoallergenic, latex-free, and silicone-free mouthpiece. Have questions or want to see it in action? Let us know at your next visit.